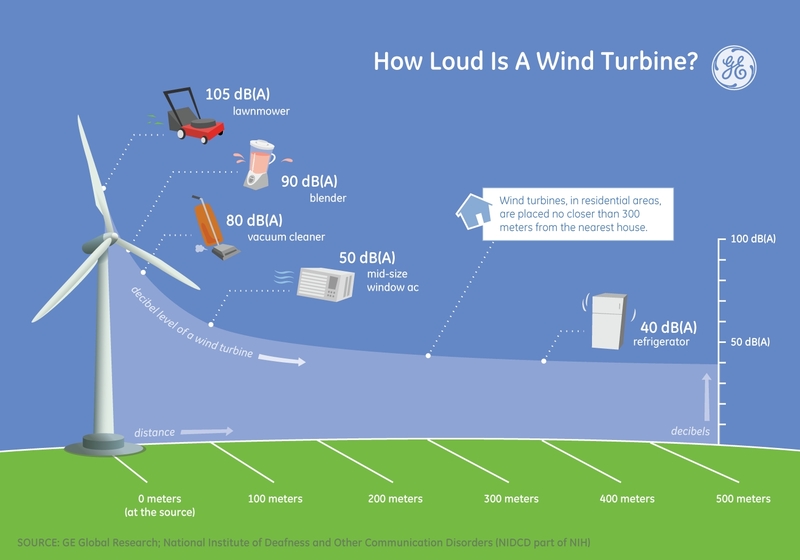 Ever wondered how much sound a wind turbine really makes? If you’ve not yet had an opportunity to experience it for yourself, Simon Mahan makes some relative comparisons with the everyday sounds in our lives, and notes that sensible regulations afford a level of protection for nearby residents while allowing responsible wind energy development. General Electric – How loud is a wind turbine? 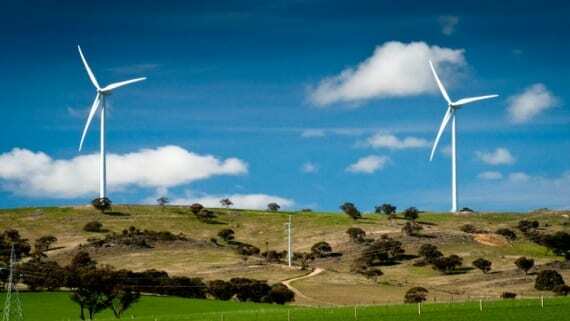 Late last year, several articles appeared in South Gippsland newspapers surrounding the Bald Hills wind farm which will soon commence construction. Advisor to anti-wind farm crusader Senator John Madigan travelled to the region claiming the Bald Hills wind farm would not comply with noise standards. Such claims are speculative at best. They make big assumptions about the sound of turbines that haven’t even been built. Yet this speculation is nothing new in the wind energy debate. Fear mongering about the sound of wind farms championed by Senator John Madigan–a politician with a track-record of anti-wind activism–is part of a larger campaign. The other side of the coin is a scare campaign alleging wind farms make people sick. Wind farm noise complainants and anti-wind groups: how many, how large? Published by www.reneweconomy.com.au. View original article. On January 10 Prime Minister Tony Abbott signaled that it might be timely for the National Health and Medical Research Council to review the evidence on wind farms and health saying “it is some years since the NHMRC last looked at this issue: why not do it again?” He appears to be poorly informed. The NHMRC reviewed the evidence in 2010, and has been re-reviewing it again since 2012, with the release of a public discussion document imminent. Published by www.barnardonwind.com. View original article. One thing to admire about those who dislike wind energy is their sheer persistence. If one argument gets stamped out, they turn to another without blinking an eye. Specific pieces of disinformation ebb and flow as the evidence mounts. An epic view of the Waubra wind farm. The anti-wind farm group, the Waubra Foundation, have rejected a community request to stop using the town’s name. The petition signed by 316 residents and people with strong links to the town was delivered to the Foundation in November. The petition shows the community has made strong attempt to reclaim their name. “Now Waubra Foundation has decided to ignore the petition, it’s time for politicians to throw their weight behind the local push to reclaim Waubra from anti-wind farm campaigners,” said Leigh Ewbank, Friends of the Earth’s renewable energy spokesperson. The most interesting places on Earth are the subduction zones where tectonic plates of science and emotion scrape relentlessly. Buried in these dynamic boundaries we find the most telling insights into human nature. Wind energy spans the continents of science and sentiment, and discourse is dominated by this violent collision of empirical reality and unbridled passion. Though living full time in this fissure might seem unenviable, I guarantee it is stirring. Yesterday, the plates grated once more, as the South Australian Environmental Protection Agency (SA EPA) released the long-anticipated results of their study into low-frequency noise levels at Waterloo Wind Farm. Waterloo wind farm. Source: ABC News.